← What if someone just refuses to be included? Slander? Whoa, that’s a strong word! After my last blog I have continued to wrestle with how to care for the person who has nothing good to say. Are they ripping apart the Christian community and doing more harm than good? Are they sinning? Or, are they pointing out weaknesses and sin? In confronting sin, Matthew 18 gives us clear direction. If we choose not to privately address the brother who has sinned against us and instead choose to air our hurt to everyone who will listen, we go against the clear teaching of Scripture. If we hang on to bitterness, we choose sin. 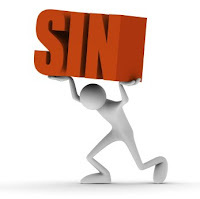 If we decide to take up arms instead of turning the other cheek, we choose sin. Our counsel has to be clear with the hurt brother or sister who comes to us with a list of shortcomings. “Have you talked to the person who hurt you privately?” And then, when they say they haven’t or can’t, we have to be firm that they must do what Scripture teaches and that we won’t hear it anymore until they have been obedient to Scripture. We have to trust God that He will minister to them through the process He has prescribed. We have to resist the temptation to get in the middle. And then, if they continue slandering and maligning their brothers and sisters in the body, we need to take a Matthew 18 approach with them to confront their sin. Slander and malicious gossip is a sin that divides and undermines. It takes the wind out of the sails and takes our focus off working to reach those around us with message of hope in Christ.